You wake up and you’re tired. You go to the movies and fall asleep. Everyone around you is complaining because they can’t sleep at night, and you just can’t seem to stay awake to spend any time with them. Your work is suffering and your health is as well. You’ve told yourself for years that it’s NOT the snoring; it’s got to be something else, right? If you can’t seem to find any other answers and everything seems to be pointing towards your snoring, then you are in luck as there IS a solution – Getting the best snoring mouthpiece. 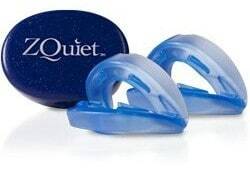 We’ve picked apart many snore guards on the market and present to you the most in-depth, first-hand snoring mouthpiece reviews. There are many different solutions to your snoring problem. We’ll take a look at some of the different mouthpieces and how they function, to provide you with the best solution to your snoring issues. There are many anti-snoring devices on the market that act in different ways to stop your snoring. One of the causes for your snoring could be your tongue. You see when you lay down to go to sleep the muscles in your body relax. What also ends up relaxing is your tongue. In this relaxed state, your tongue may possibly be causing an obstruction in your airway. This causes the airflow to stop and in turn cause the many problems related to snoring. If you are unable to make the noise, then your tongue may very well be the culprit. The Good Morning Snore Solution works differently than other devices that push your jaw forward. This mouthpiece utilizes a suction that gently pulls your tongue forward as you sleep to open up your airway. Often times it’s time consuming, costly and difficult to conduct clinical testing on such products, but Dr. Leslie Dort did one in a group of 32 patients. The results found that more than 70% wanted to continue using the Good Morning Snore Solution as it had improved on their sleepiness and snoring. Many users have reported success with this device as the best snoring mouthpiece, with one even stating that he had used it for over a year with great results. To learn more please read our in-depth Good Morning Snore Solution Review. If you are looking for a one-two punch type of combination to knock out your snoring than you just may have found it with the Zyppah product. While other products may have a focus on the tongue or the jaw, Zyppah hits both. If just your tongue or just your jaw causes your snoring, then you may want to look into other solutions, however if you have found that both cause your snoring, then keep reading. The Zyppah just may be the best snore guard to accommodate your tongue and your jaw. The mouthpiece is a fully moldable mouth guard that molds to your teeth. Within the guard you will also find a tongue stabilizer, or what can be seen as a seatbelt for your tongue. When you wear the Zyppah, it moves your jaw slightly forward and stabilizes your tongue to open your airway for easier breathing. Many verified buyers from the manufacturer’s website indeed attest to the success of this product. Some said say it took some getting used to, but in the end greatly reduced their snoring. 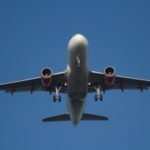 One user even stated after trying multiple things such as other mouthpieces, nasal strips and even going as far as taking allergy pills, that this was the one solution that worked. To learn more please read our in-depth Zyppah Review. All snoring mouthpieces function the same, right? You put them in your mouth and hopefully the build of the mouthpiece is exactly what you need…right? You know how some clothing stores or other places that carry things that say, “one size fits most,” always seem to have people who DON’T fit it? Yeah, that’s one of the beauties of SnoreRx. Instead of a Mandibular Advancement Device (MAD) that you hope will fit and be the EXACT fit that you need, the SnoreRx mouth guard takes it a step further. 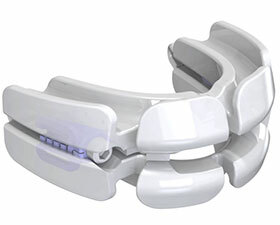 What you will find is an oral guard that offers the ability to calibrate the movement of the guard extension. In 1-millimeter increments you will be able to adjust it to a custom fit. Which means no one-size-fits-all. What you will find is the exact position your jaw needs to be in to reduce your snoring. According to dental experts, sleep experts and medical practitioners, they whole-heartedly agree that it does. In fact, some of them mentioned that these types of devices are the ones they would recommend to individuals under their care. If the positioning of your jaw causes your snoring, and you have yet to find a snoring mouthpiece that can get it into the correct position when you sleep, then you may want to consider SnoreRx. To learn more please read our in-depth SnoreRx Review. The Vital Sleep functions in a similar fashion as the SnoreRx as it allows you to adjust the positioning of the mouthpiece. A hex tool comes with the Vital Sleep mouth guard so that you can manually adjust the positioning of the mouthpiece. Many like the fact that this product comes in two sizes. Women typically wear the smaller size, while men typically choose the larger size. This allows for a much better fit for the end user. The boil and bite abilities of the mouthpiece allow for a more custom fit for the individual that will be using it. The Vital Sleep works much like the other guards listed here as it opens up the airway by repositioning the jaw, thus providing a clear airway passage during sleep cycles. Many users have reported that this product has worked as advertised. There are some however, that report jaw soreness upon using the product. However, this can be due to the positioning and adjustment that needs to be made to the mouthpiece. Once the appropriate position can be found for the user, typically the jaw soreness subsides. The warranty for this product is up to one year and offers a 30-day money back guarantee. To learn more please read our in-depth VitalSleep Review. Are you looking for something that has served over half a million users successfully? Want something you won’t have to pay full price for until you have ACTUALLY used it? You just may have found it. On the surface, ZQuiet looks like many of the other snoring solutions out there, and to some degree it is similar. However, there are subtle differences that set ZQuiet apart from the rest, which we will take a look at more closely. For starters, a dentist who understood the problems that snoring can bring, and knew how to address it created ZQuiet. The ZQuiet system positions your jaw so an optimal amount of air can flow through a clearer airway. Soft hinges within the mouthpiece allow it to flex and move as you move throughout the night. The mouthpiece itself will move, while still keeping your jaw in a protruded forward position to keep your airway clear. They believe in this product so much that they won’t actually bill you the full price until 35 days have passed. This means if you like it, then in a month you will be billed. If not, then send it back and you won’t pay anything further. ZQuiet – Does It Work? More than half a million users have reported success with this product, so it’s safe to say that it has. 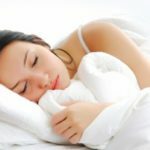 As you hear more and more of what users have reported, you come to realize that others (spouses, children, anyone else exposed to the snoring noises) are the ones that truly benefit. One user reported that in 17 years, his wife was finally able to get a snore-free night after he started using it. To learn more please read our in-depth ZQuiet Review. You have a snoring problem; there is no way around it. What we will discuss here is your snoring, devices and a bit more. Anyone who snores or who lives with someone who snores knows how difficult this can be for all parties involved. If you are the snorer, then you know how tired you feel when you wake up, how it is affecting your health and already know of the complaints. As someone who may be living with someone who snores, then you know how frustrating it can be to try and get some rest, the worry you feel about their health and how you can combat it. If you are living with someone who snores, then your input is crucial, as you witness what is going on and can provide information to help get to the root of the snoring. Which leads into the next section. It’s important to find out just what is causing your snoring. It would be silly to get a device that addresses your jaw, if it isn’t your jaw that is causing your snoring in the first place. If you have an idea of what is causing it, then you can try out one of the devices on this list, but if you are unsure then you will want to consult a professional such as your doctor, dentist or even a sleep specialist to see what the problem may be. In some cases, you may need to visit a sleep lab in order to determine the problem. A sleep lab will monitor you throughout a typical night and will be able to give you an idea of what is going on when you sleep, what is causing your snoring and what dangers may be posed as a result of your snoring. As mentioned earlier, if you are unsure of what is causing your snoring then you may want to consult a physician. If you are suffering from the following, then you need to see someone soon, as your snoring may be causing other problems. In individuals who snore or suffer from sleep apnea, these are typical signs and symptoms. While they may not necessarily mean that you have sleep apnea, they are still very important things to pay attention to, as they may be signs of other problems. If you are the snorer, then ask others who live with you what they observe. There is a big reason for this – YOU ARE ASLEEP. That’s right, you are the one sleeping, so the only thing you observe is that you just aren’t getting the kind of rest that you need. Ask those around you like your spouse or loved ones what they observe as you sleep. While there are many problems that come about from snoring, you just may find that your only snoring problem is the noise. If this is the case, then you can treat it with a few changes, however if there are other things that they notice then these things need to be brought to your attention, as well as a medical specialist. The FDA approves the materials used in these types of devices. You will have it in your mouth for the duration of the night, or whenever it is that you sleep, so it’s important that the materials that will be used are safe for you. An FDA stamp of approval will assure you of its safety. While you may not be able to find a rating on all devices, what you can do is see if there is one. When you are on the lookout for the best anti snoring device, then a BBB rating can play an important role. The BBB take complaints from consumers, so a lower rating will definitely tell you if you want to purchase the product or not. Take a look at what actual users are saying about the product. This will help you to make your decision and will help you to better understand what to expect. For example, some devices may cause jaw soreness that goes away as your mouth gets used to the product. This is definitely something you want to know up front. You may not find this with all snore guard reviews or snoring mouthpiece reviews, but if you are able to find products that showcase clinical testing then be sure to take a closer look. A clinical test will give you a better idea of how the product is working in a controlled environment, and give you an extra boost of confidence aside from user feedback. You don’t want to spend money on a device that doesn’t work or breaks down easily. When you are looking at the best snore guard for your needs, be sure to see what the costs involved are, how long the trial period is and what kind of warranty you are looking at, as this will help you to find something that works AND won’t hurt your pocketbook. If you have a snoring problem and you have an idea of what may be at the root of it, then you can check out the snore guard reviews we have listed above to find the one that addresses your snoring problem. Many of the products have great warranties and trial periods, so if they don’t work then at least you will be able to get your money back or a replacement if it breaks down. If you are unsure of what may be causing the snoring, then it’s time for you to speak with your family members and loved ones for some input, or visit a sleep specialist to help you figure out what is going on. If you are already experiencing some problems with your health then you must take swift action and see someone immediately OR at the very least try out one of the products above in our snoring mouthpiece reviews. If you are currently reading this and about to go to bed or if you are the loved one of someone that snores, then take the suggestions we mentioned above and try them out to get some kind of relief at least for the night. For example, try sleeping on your side with a pillow behind your back to keep you on your side, or even sleep with your back against the wall so you can stay in this side position. We’ve taken a look at the best snore guards out there and have brought you the best snoring mouthpiece reviews. The rest is up to you. Please do not disregard the information here, as your snoring may be a sign of bigger problems.